ABC7 Eyewitness News anchor Ravi Baichwal takes part in the Respiratory Health Association's "Hike for Lung Health" on Sunday. 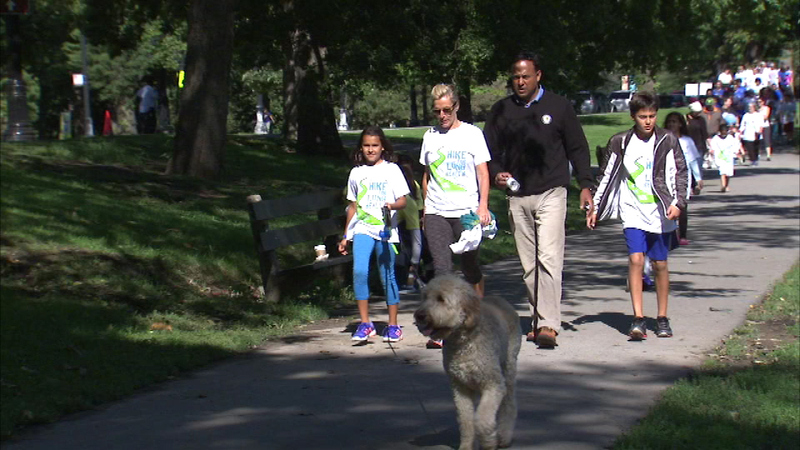 CHICAGO (WLS) -- The Respiratory Health Association's "Hike for Lung Health" kicked off Sunday in Lincoln Park on the city's North Side. The clear sunny weather created perfect walking conditions for the annual charity event. ABC7 Eyewitness News anchor Ravi Baichwal was the emcee. The event raises money for programs that support those with lung disease, such as ARDS, sarcoidosis and pulmonary fibrosis.